Fashion Week S/S 2012: Backstage at Cynthia Rowley. 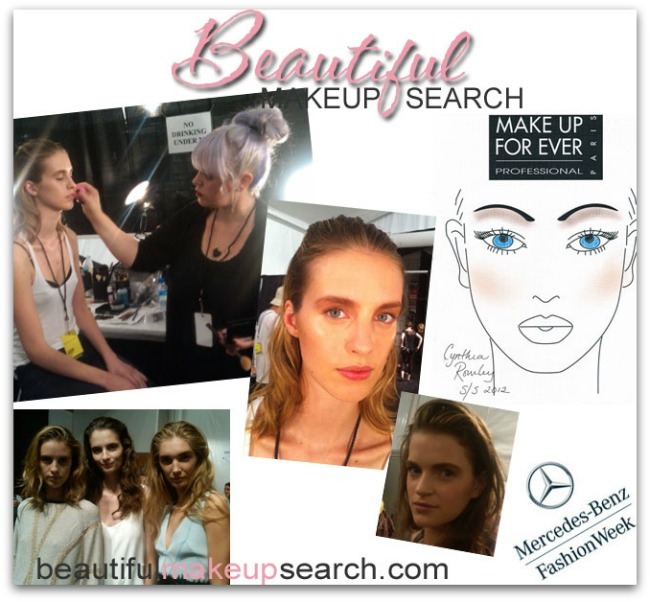 Backstage at another show with MAKE UP FOR EVER, Lottie again served as lead make up artist for the Cynthia Rowley Spring 2012 show. The look was very clean, cool and sporty with hints of sweat and glowing skin. Lottie wanted the models to look slightly masculine, so the make up featured a strong brow and bare lips. the face with MAKE UP FOR EVER Sweat Effects Gel. Lips: The lips were bare with just a hint of MAKE UP FOR EVER Moisturizing Lip Balm. Les Jeans de CHANEL Nail Colour.